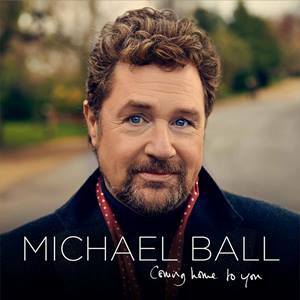 Michael Ball admits his face doesn't automatically fit. Think Sweeney Todd, the Demon Barber of Fleet Street and you wouldn't immediately imagine him in that iconic role. His clean cut image and boyish appeal seem a million miles from the revengeful, razor-wielding Todd of seedy 19th London. But this is musical theatre. And that is the challenge. And Michael is confident that when he steps onto the CFT stage incredibly for the first time there as a performer even though he is local, he will knock the audience's perception of hi. "Sweeney Todd has always been an ambition of mine, and I wanted the next time I was on stage to be something really different, to really challenge myself and those people who follow what I do." he says. He admits too that there was incredible pressure on him, and the rest of the crew an cast, which includes Imelda Staunton as Mrs. Lovett, to get this right. The award-winning show by Stephen Sondheim may have been thrilling theatres worldwide with its compelling characters, dark humour and brilliant songs since 1979, but with this production directed by Jonathan Kent, there was, he says "no template being followed", with new moves and new orchestration. "The pressure was on and we were up against it." he says. And just how did he go about getting into the twisted character of Benjamin Barker, alias Sweeney Todd, who returns to London after 15 years transportation on false charges? For a start Michael went to famous London barbers Trumpers to learn how to use a cut-throat razor. "Then, with rehearsals, you find yourself, then you lose yourself again, then you find yourself again. There's a panic all the way through and you end up thinking 'I don't know why I do this, I really don't'"
He is clearly relishing it though, and the chance to be at the CFT, which means an easy journey back to his West Wittering home atnight, instead of living out of a suitcase. Michael (49) who lives with broadcaster, journalist and Sixties style icon Cathy McGowan, his partner since 1992, has had a home here for 17 years but has nver been on the CFT bill here, despite co-producing Festival 2010's Love Story in the West End and spending many enjoyable evening in the audience. "It is ludicrous really, that I haven't performed here, and that was one of the reasons I wanted to do Sweeney Todd. I think Jonathan Church has done splendid things here. 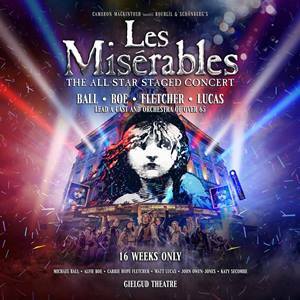 Self-effacing and seemingly very grounded Michael has had an incredible career spanning 30 of theatre - in Les Miserables, Phantom of the Opera, Aspects of Love, Chitty Chitty Bang Bang and many more - sell-out concert tours, 18 solo albums (Heroes featuring classic, romantic tracks by some of his heroes including Scott Walker and Frank Sinatra was released in March). TV, including a ground-breaking An Evening with Michael Ball at the BBC Proms in 2007, and radio - he has been with Radio 2 since the early 90s and now presents Michael Ball's Sunday Brunch. With his talent and easy charm he seems to be able to turn his hand to many things, and the diversity is the attraction for him. "I have been so lucky with that. People have given me opportunities in different areas and I have made opportunities myself. I like to work. I lik to be involved with people in new projects. And I like ot be able to entertain and inform. There is no master plan though. I never know what's going to come up in three months time." he says. Awards have been plentiful and there is one he is particularly proud of - his 2008 Olivier Award for his portrayal of Edna Turnblad in Hairspray, a long-runnning show which broke box office records. He hung up his wig in March after three years of having a ball in the drag role. "I am missing Edna hugely," he says "That role showed a different side of me, and took me to a new level. I was so proud of the award." The energy levels required for eight performances a week though demanded that Michael looked after himself well. "I try to have 24 hours a week off if I can," he says "and I swim pretty much every day now." Getting into costume as Edna, Micahel got down to a fine art int he end. "Everyone thinks it's a big old process, but genuinely, it toook seven minutes," he laughs. "The body is shaved anyway so it's a question of a bit of make-up, wig, fat-suit an costume. It really didn't take long at all. " Micahel is refreshingly honest about the anxiety and self-doubt that has dogged him in the past. And credits Cathy and his family for helping him deal with this. He now has two step-grandchildren too - Grace (8) and 12-year-old Connor, the children of Cathy's daughter Emma - and says "we are a good unit"
"I have been around long enough at this level to realise the pitfalls and to remember the important things like family and my relationship with Cathy. That keeps me sane and grounded. "With the anxiety there are little tricks you learn, danger signs you look out for. You learn to back off and take care of yoursel, but it is always an on-going struggle." The nevers will no doubt kick in front of the home crowd over the next six weeks, but he will be more worried about not scaring young Grace too much with his performance, and trying to impress Connor. Michael loves his laid-back life in West Sussex. For relaxation there is nothing better for him than taking his dogs for a long walk on the beach. And he enjoys soaking up a bit of culture too in the area. "I love the area, and now we have got the Hindhead Tunnel, it's so much easier. My mum is in Chichester, my sister is in Stedham, so family here which is great. "When you are walking along the quiet beach with the sun breaking through, you can't beat it. It feels safe here too, it's a healthy environment. Chichester is a lovely town and I like to take a walk around the city walls. I like visiting West Dean too." Best knowon for his songs Love Changes Everything and One Step Out Of Time, Michael enjoys a cross-section of music when out walking with his iPod on. "Everything from Jesse J to Mumford an Sons"